I was the UI designer on the iSkoot for Skype series of apps. 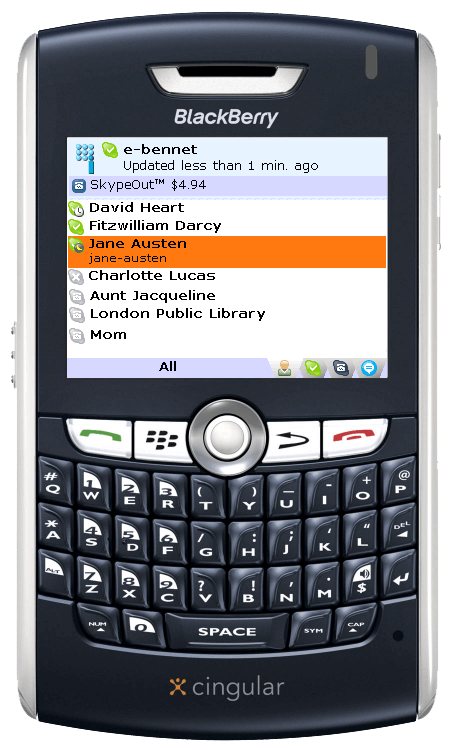 iSkoot for Skype was a Skype client experience that was available on most of the major smartphone platforms circa 2007. At that time, Skype did not have its own branded mobile apps, but they did have an open API. 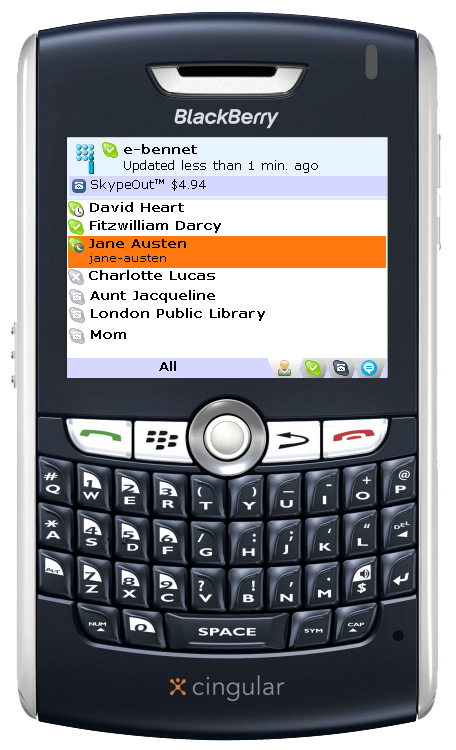 As a result, third party companies like iSkoot were the first to bring Skype experiences to a wide variety of mobile OS platforms. I joined iSkoot as the first mobile UI designer on staff. My goal was to port the iSkoot experience to multiple mobile platforms starting with BlackBerry and Windows Mobile Smartphone, finding the right balance between iSkoot functionality and brand goals with platform-specific design conventions. I also worked to update and improve the experiences of iSkoot apps on legacy mobile platforms. These are screen shots of iSkoot running on multiple mobile phone platforms: Symbian S60, UIQ, Windows Mobile, and BlackBerry. 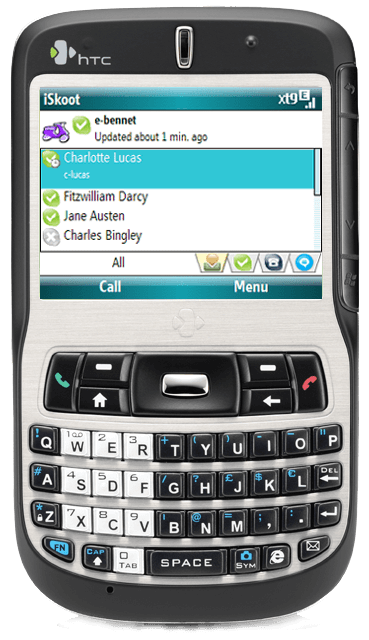 By the time Qualcomm had acquired iSkoot in late 2010, all of the iSkoot for Skype apps had been abandoned. My Role: Lead UX designer. Deliverables included wireframes and screen flow diagrams. iSkoot on a Motorola Z8 running the UIQ touch screen smartphone operating system. (I really loved this phone...) Circa 2007.
iSkoot on a BlackBerry 8800. 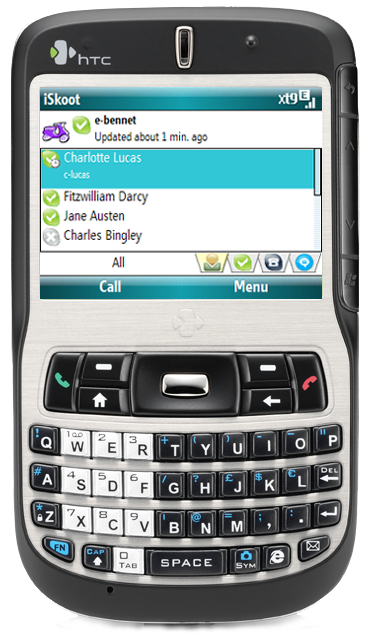 Circa 2007.
iSkoot on an HTC Dash running Windows Mobile Smartphone OS (non-touch). Circa 2007.
iSkoot on a Nokia N95 running Symbian S60 device (non-touch). Circa 2007.
iSkoot on a Palm Treo touchscreen device. Circa 2007. 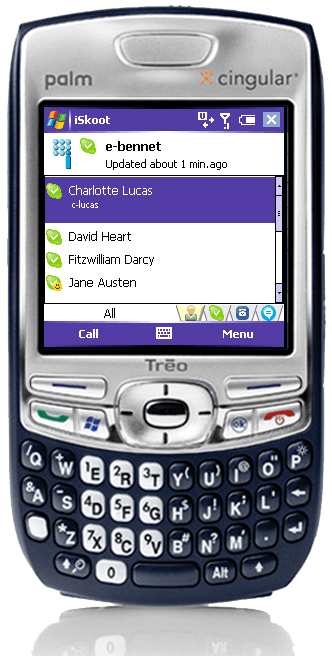 A screenshot of iSkoot running on a touchscreen UIQ device, the Sony-Ericsson P990. Circa 2007.